In 2006 adidas releases a series known as Materials of the World (MOTW) in which they attempted to pay homage to various cultures by drawing inspiration from locations around the globe. The materials, design, and even anatomy of each MOTW release is not without a specific story. In Mexico the 1st and 2nd of November are a very special holiday known as Dia De Los Muertos (The Day of the Dead) during which people celebrate and remembered their decreased loved ones. The Materials of the World Mexico TT illustrates the event by depicting the colorful skulls that litter the streets of Mexico during this two day fiesta. 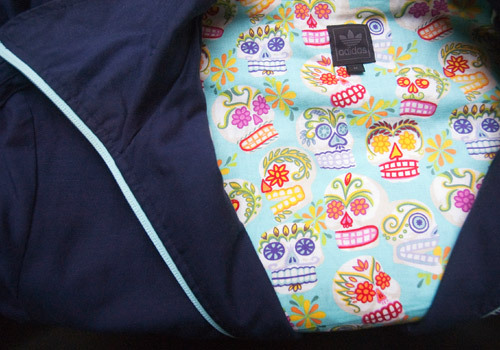 The outer shell is a dark blue lyocell and linnen combination with ice blue accents on the main zipper, circular trefoil pull tab, side pocket zippers, and trefoil embroidery on the bottom right. 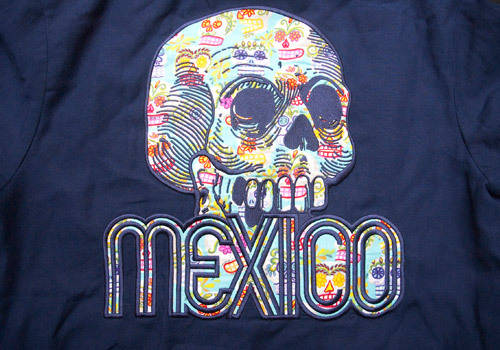 A clean sketch of a skull is displayed on the left breast and mirrored on the back in a much larger, more colorful embroidery. 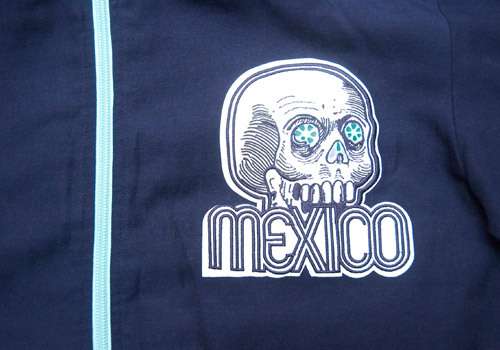 Both of this skulls are underlined with the word ‘MEXICO’, written in curvy, thick font. 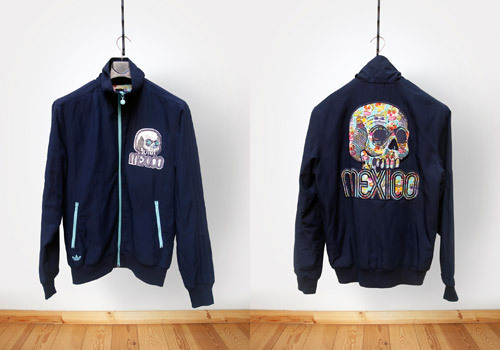 Any collector who digs the design of this jacket will likely appreciate the very similar, later released, Day of the Dead TT from a pack that came out in 2007.